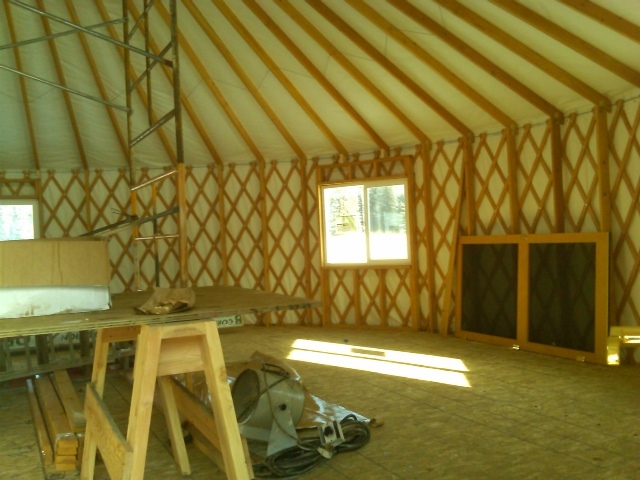 Here it is, the beginning of December, and it looks like we just might get the yurt fully furnished by January. 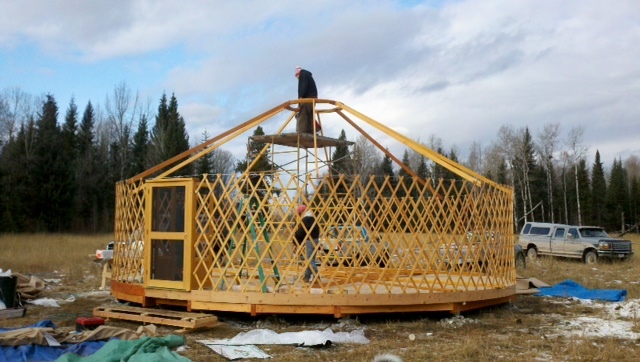 What we thought would be a simple project has turned into what we jokingly refer to as the million-dollar yurt. After weeks of dealing with a very methodical builder and his crew of four, we soon found out that we could have just as easily built a cabin for the same amount of time and money. But, as Chris says, a yurt is much more interesting. 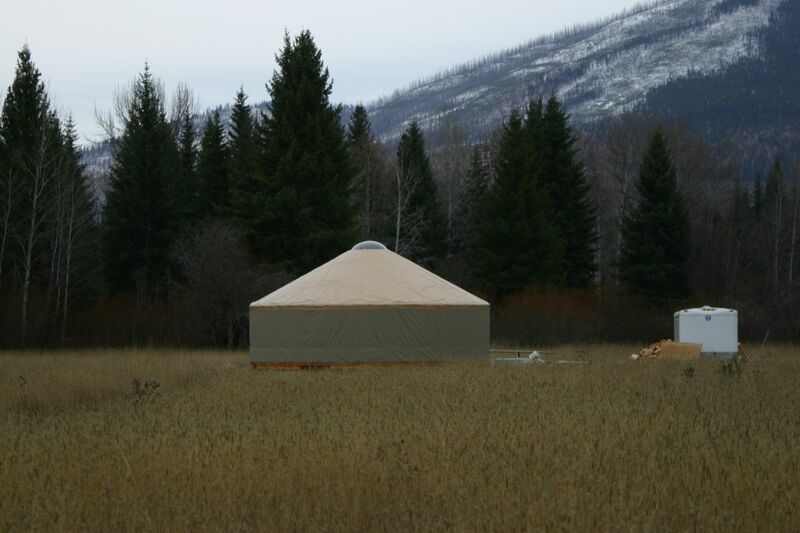 And just what is a yurt? Well, it’s an ancient structure used by central Asian nomads, particularly Mongolians. Its round shape and sloped roof create tension and compression that make it a very sturdy, yet portable, shelter. 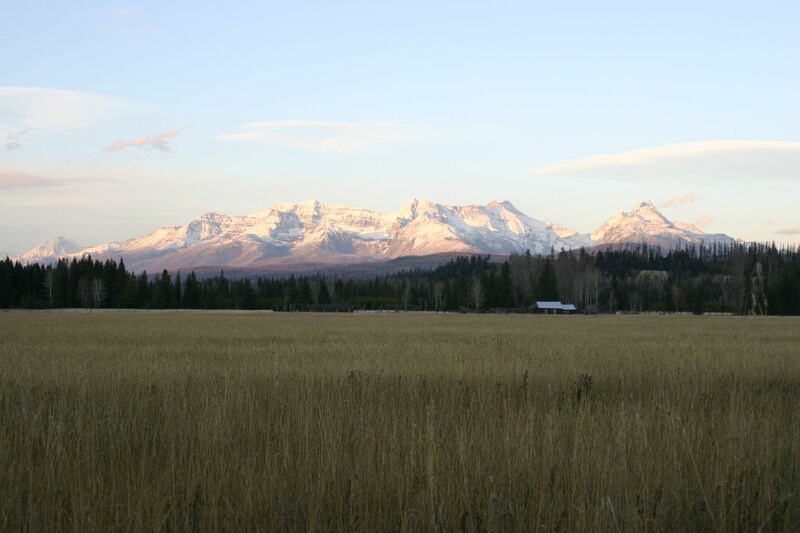 Although our updated, super-insulated, snow-bearing yurt package from Pacific Yurts is not exactly portable, it is light on the environment and blends in with the surrounding landscape. We shall soon see. Stay tuned. And we’ll be dressed like this. 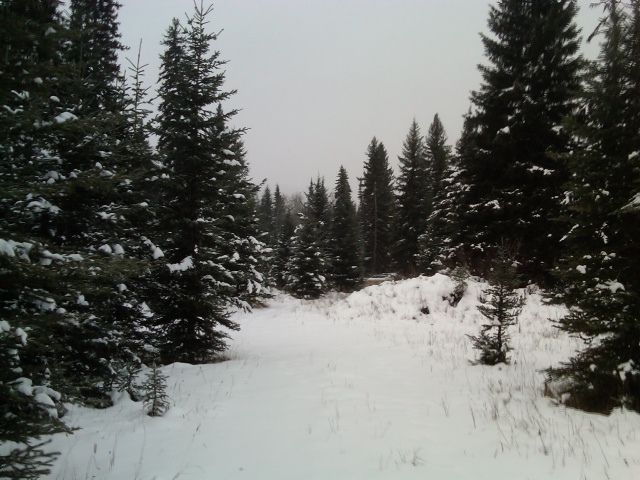 Greetings from Montana! 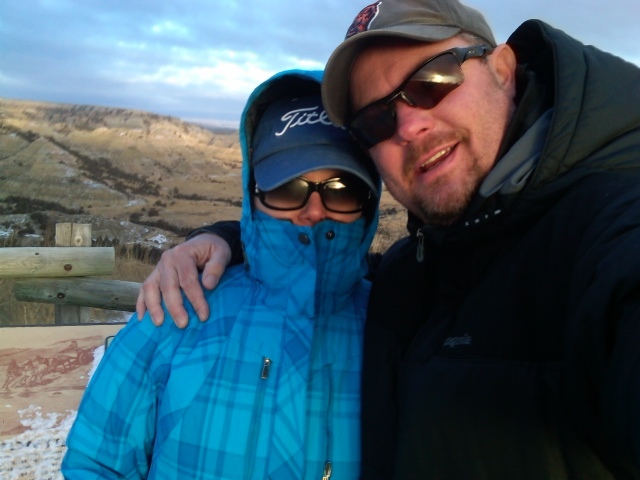 Polebridge, MT: Baby, It’s Cold Outside! What!!!! I stay away from church for a few months and now you’re living in Montana in a Yurt! Holy cow, girl. I can’t wait to read more. I love yur yurt! 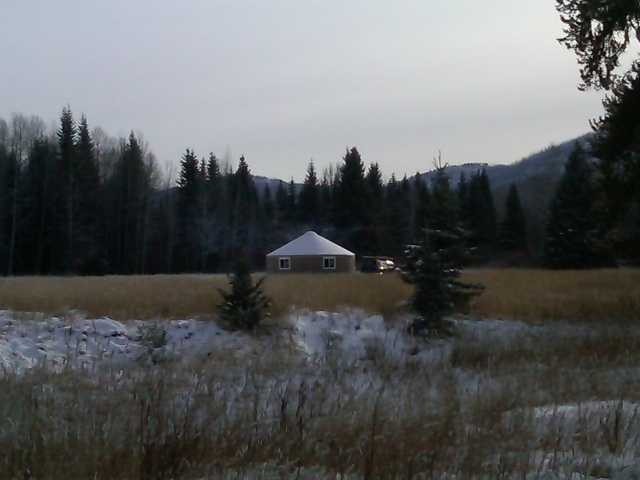 Do you plan on spending the winter hunkered down in this yurt? Uhhhh…how do I ask this delicately….where’s the bathroom? Have any bear introduced themselves yet? Hi Mike! Ah, yes, the bathroom. 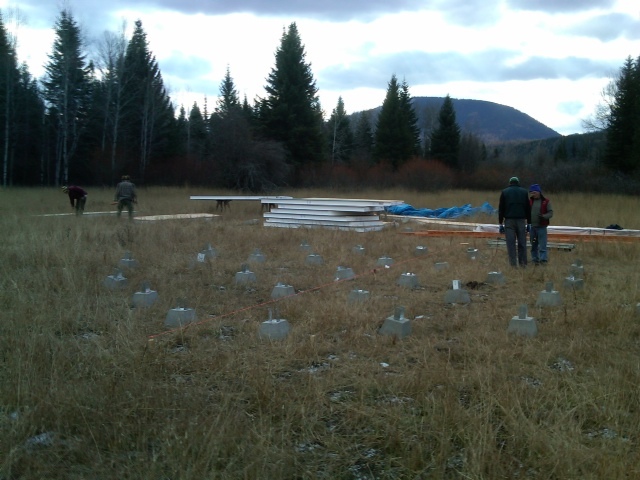 We will have a Sun-Mar composting toilet that claims to be odorless (we shall see) and will create wonderful compost. Probably can’t use it for the vegetable garden, but we can spread it around the meadow, where we plan to spread many wildflower seeds. Hope you and the fam are doing well. Stay in touch! P.S. 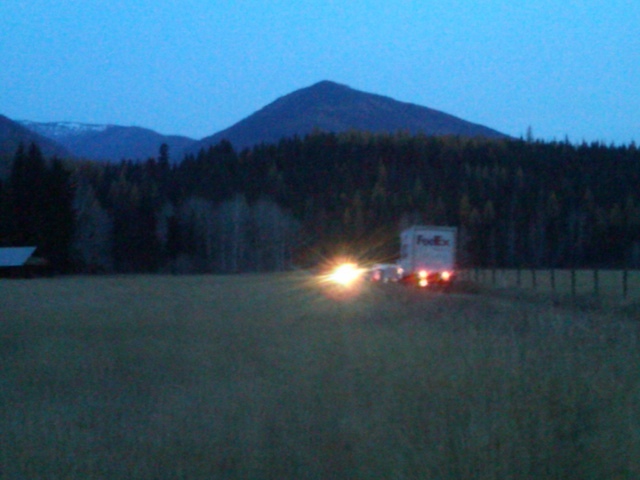 We’ve seen plenty of bear tracks but no face-to-face encounters on the actual parcel of land … yet. How exciting & adventurous!!!! I can’t wait to read more!!!! I still can’t believe you are out there in the wilderness! 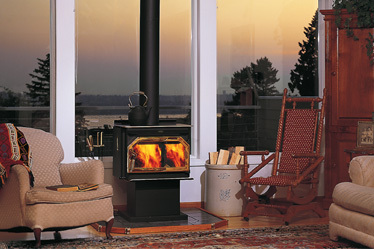 Looking forward to updates…stay warm!